Since jumping into the lending business back in 2004, I have been through the ups and downs of the housing industry. As a Sierra Pacific Mortgage Branch Manager, I am dedicated to helping my clients find the perfect loan tailored to their unique financial needs. Whether you are purchasing your dream home, refinancing or consolidating debt, I can help you find the right loan program and guide you through the process.
" Don Did a great job! There were quite a few speed bumps, curve balls, and any other metaphor you can think of that describes the problems we came across when trying to sell the condo. Don really did a great job getting us through it and making sure to keep me calm throughout the entire process. Thanks Again Don! " " Mr. Ritchie has been nothing but exceptional throughout the whole process with selling our home. Answered all of our questions and made things happen for us to get the most out of our sale. 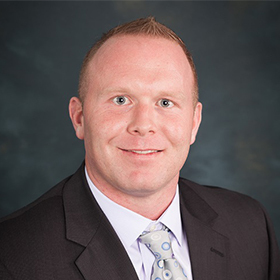 We highly recommend Mr. Ritchie to anyone looking to purchase or sell their home! 5 stars!!!! " " Anne Chong is by far the best agent I ever had the chance to represent me doing my time of selling and buying my home. Anne walked me through the process from beginning to end and was very knowledgeable. Anne connected me with the right people when things needed to be done. Anne always kept me informed of any changes or information I needed to know. I will definitely use her again as my agent and recommend her to anyone I know that's buying or selling a home. " " Don is a phenomenal realtor. This is our second transaction with him and he is in our business for a lifetime. He learns exactly what his clients wants, make suggestions, and fights for everything. He is excellent at making you feel like you are his only client. " " I was referred to Don Ritchie through a very close friend. From the moment we first chatted on the phone about expectations of my first time home buying process all the way through to the end- I could tell I was working with someone I could trust and who also had my best interest. Any questions that arose were answered promptly and full disclosure (even if the answers weren't necessarily what I wanted to hear). Working with Don made a stressful process very smooth, easy to understand, and fun! Thanks Don. -Sarah Herr "
" "Five stars does not do Don Ritchie justice! Right away, he made me and my fiancé feel assured that he would find us our perfect home. Don never left any of our questions unanswered and was always available for a call or text. He is very professional, attentive to detail and very easy to work with. I can highly recommend him to anyone. Thanks for all your hard work Don!" "
" Don is fantastic. He is very flexible when it comes to scheduling meets and tours. Very easy to talk to and lets you know everything you need, he is very good at educating first time home buyers of the do’s and dont’a without making you feel confused. He was very patient and kind showing us more than 40+ homes in a span of 3 months with our two toddlers, both under the age of 4 (that would’ve personally drove me crazy). He treats you like family! He makes sure you are getting the best deal possible. I will recommend Don to anyone who is new at the home buying process and honestly to anyone thinking about buying a house. " " Steve was hands down the most down to earth yet professional person to work with. He dealt with my craziness in searching for the perfect first home, super detailed in writing down all of the things I liked, didn't like, needed and didn't want, and helping me to find the perfect home. He made me feel so comfortable and made me feel like he truly cared about the quality of home we would receive. He dealt with my requests at all hours of the day and was super efficient and great at communicating. I have already recommended him to family and friends, I've heard horror stories from friends of their first experience and I'm so happy to say I had the easiest first time home buying experience and an amazing home that is now mine. He's superb! Always on time and responsive. " " "I can’t say enough about Don. He is a great guy and was willing to help out anyway he could to help us sell our home. He took the time to make sure we were understanding the process and he even took time to answer some of the buyers questions also. I highly recommend Don if you are looking to buy or sell a home." "
" Don Ritchie has been more than just my realtor, he was also a friend that always put my needs first! I really appreciate all that he's done for me! I would definitely recommend him to friends! " " Anyone can help you buy a house. But it takes a true professional and expert to make it all work out when things don’t always go as plan. This is where Don and his team make all the difference. He is there to answer questions at all hours of the day and night and when things don’t look like they are going to work out , he finds a way to make it happen. This only comes with first hand knowledge and experience. This is my second time using Don when buying / selling a home . I highly recommend Don for buying and/or selling your home. Thanks again for everything Don, My family and I are truly greatful for everything. - Matt "
" Great guy! He got me to the table with everything I needed, wanted and more! Don negotiated with the seller to repair everything from my inspection. He told me what to expect throughout the entire process. He made himself available to answer any of my questions. My process went smooth and swift. Thanks Don "
" Don was great from start to finish. This isn’t our first home purchase, so we can actually compare him to other realtors we’ve used before Don, and I can confidently say he is top notch! -The Rose Family "
" I used the email feature through Zillow in regards to a house with an upcoming open house date to receive additional information about the listing prior to visiting, and was put into contact with Stephen. He not only took the time to provide me the information requested, but also provided me with information regarding several other properties in the area I was looking. Stephen's professionalism and outstanding service above and beyond made me choose him as my realtor. As a first time home-buyer, his assistance and expertise helped to, not only, guide me through the process, but feel comfortable throughout. I very much appreciated all of his help answering questions and providing me the information needed to make educated decisions. Stephen was also incredibly flexible and willing to work around my schedule. I could not recommend him enough for anyone looking for a realtor. Thank you Stephen. " " Don was an excellent advocate for selling my home. Although we hit some bumps in the road with issues beyond his control he was steadfast in his approach to selling my home. He was always available for calls and to discuss strategies in the eventual selling of my home. I would HIGHLY recommend Don if you are looking to sell a current home or purchase another home. 5 Star "
The Ritchie Group is a team of highly experienced agents serving Baltimore and Harford counties in MD, and Southern York county in PA. The Ritchie Group offers a winning combination of success, respect, integrity and commitment to our clients. Our Motto is "Clients are always treated as friends first"
© “2019” BHH Affiliates, LLC. An independently operated subsidiary of HomeServices of America, Inc., a Berkshire Hathaway affiliate, and a franchisee of BHH Affiliates, LLC. Berkshire Hathaway HomeServices and the Berkshire Hathaway HomeServices symbol are registered service marks of HomeServices of America, Inc.® Equal Housing Opportunity.